This extravagant apartment interpreting the allusion to the theme of famous literary works, covers an area about 167 square meters, which by the standards of our latitude, is quite a spacious living space in which there is an opportunity to turn creative ideas, and plan an effective ergonomics and create maximum comfort. 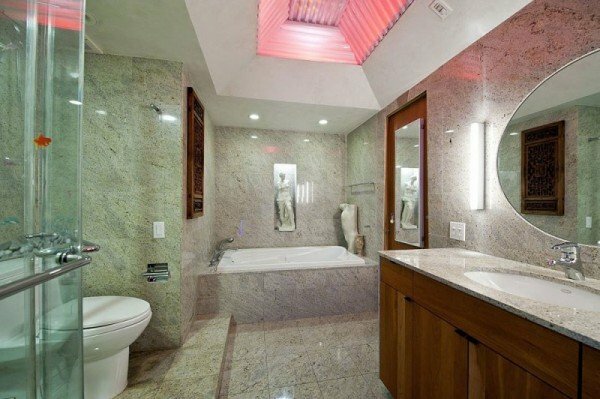 A unique apartment located in Chelsea, contains a common space, two bedrooms and two bathrooms. 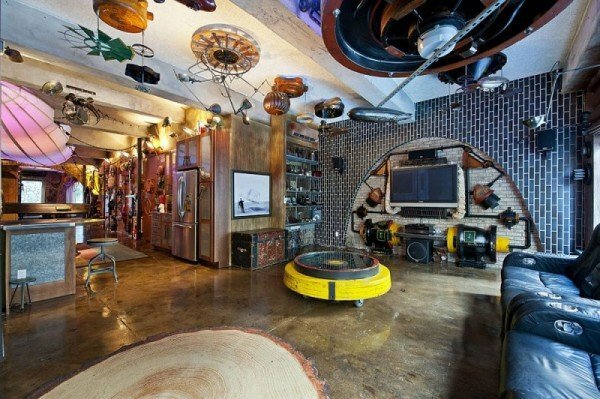 Home is decorated in an eclectic style with surreal retro, industrial, allusions, and steampunk elements. 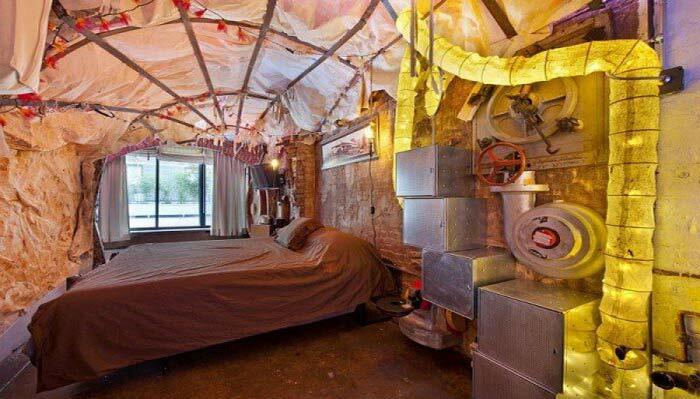 Upon entering the apartment you are greeted by a fragment of a submarine, and many other non-trivial elements of decor, suggestive of the museum of vintage things and remind children and young people the images that are while reading your favorite adventure books. Kitchen with a fairly conservative facade is equipped with high quality equipment and top made of stainless steel, which seeks to facilitate the visual design of heavy furniture. Concrete floors, LED programmable lighting system complement the impressive atmosphere of the “nursery” the boy became an adult and not betrayed her most precious dreams and fantasies.